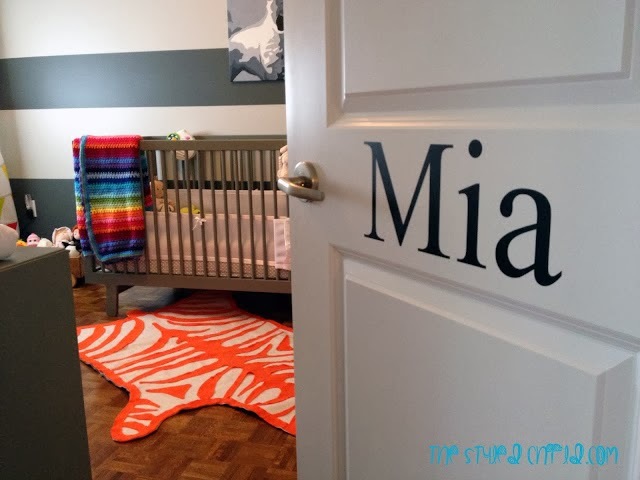 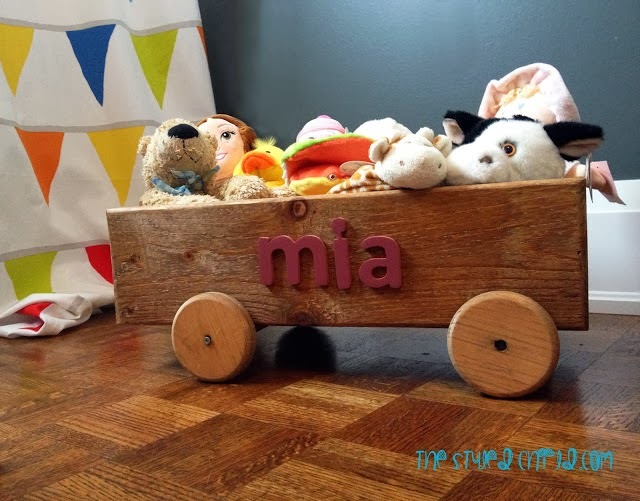 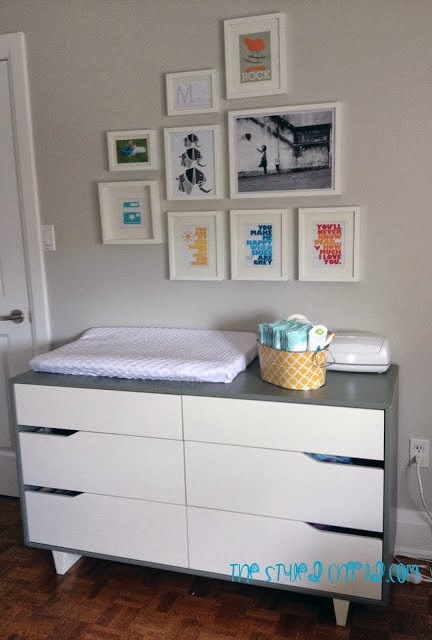 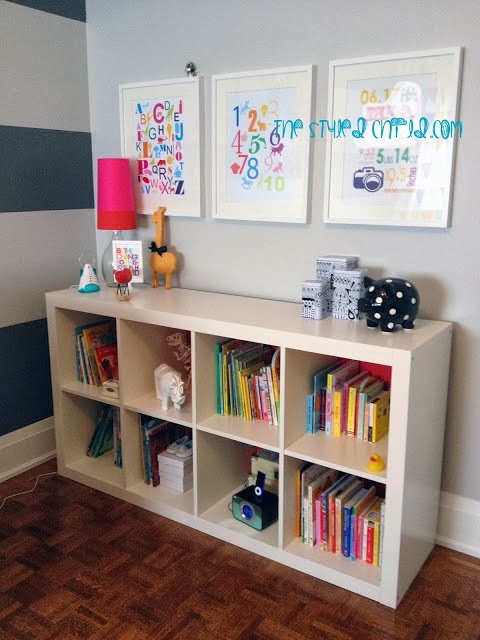 Check out Mia's colourful non-pink nursery. 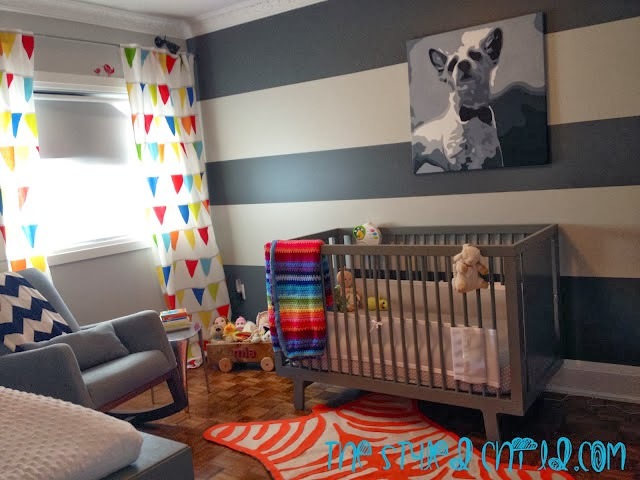 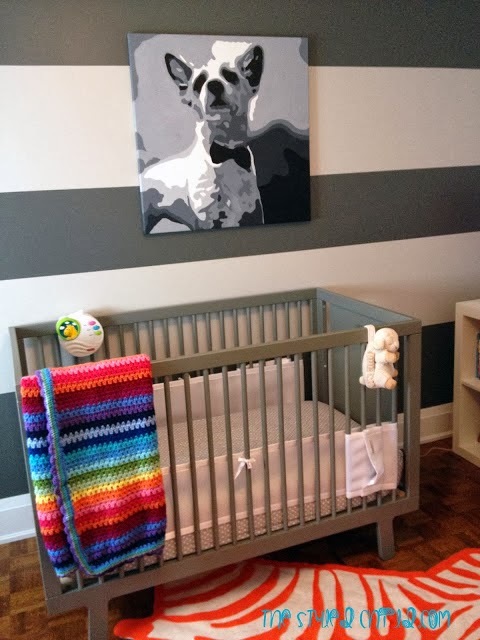 The striped wall is my favourite and I love the crib. 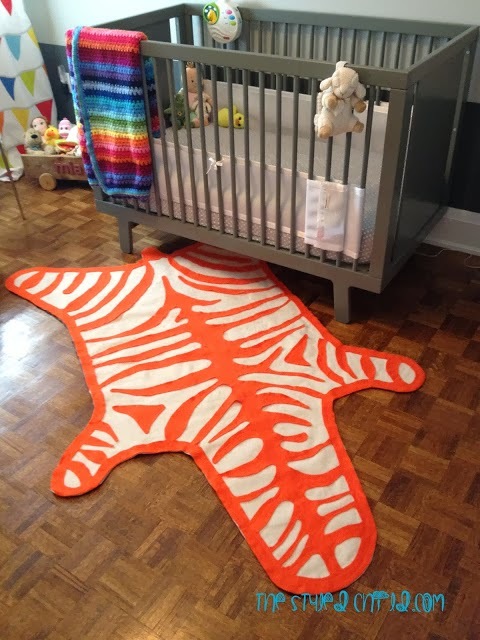 I love the striped blanket and the beautiful wooden floor, a nice bedroom to play in.